Silent Planet Wants To Let You Know That They’re Not “In Absence” in Music Video for Upcoming Release “When The End Began” via Solid State Records! Silent Planet have released a new single, “In Absence”, from the upcoming album When The End Began, due out 11/2/18 via Solid State Records. Stream HERE “In Absence” follows three prior singles, including “Share The Body“, “Vanity of Sleep” and “Northern Fires“. Pre-order for When The End Began is available HERE. In support of the release, Silent Planet will embark on a fall co-headlining tour with Stray From The Path. See below for a full list of dates. For more information on Silent Planet, please visit: https://www.silentplanetband.com/. Since forming in 2009, Silent Planet have steadily gained traction by playing local venues throughout California and expanding to the DIY touring scene throughout the United States. Over the past 9+ years, the band gained prominence thanks to their vast array of influences, anchored by Russell’s master’s degree in psychology and field experience as a mental health therapist. As a result of their continued momentum, Silent Planet took home the “Underground Band of the Year” award at the 2017 APMA awards. Produced by Will Putney, When the End Began captures Silent Planet’s aggressive live sound while retaining their more exploratory ambient elements. Along with Russell’s poignant lyrics, the band had a plethora of talent and skills to draw on for the new record. 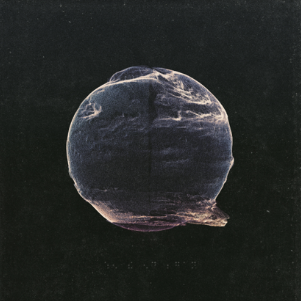 From the dynamic range of bassist Thomas Freckleton, to the progressive drumming of Alexrene Camarena and the diverse arrangements of primary song architect and guitarist Mitchell Stark, Silent Planet have managed their most deliberate, cohesive effort to date.